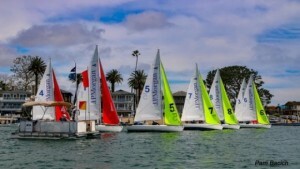 Newport Beach, CA (April 5, 2019) – In increasing breezes out of the west, 96 racers in the 2019 Baldwin Cup Team Race (BCTR) presented by JPMorgan Chase, competed 108 races as of the end of day two, despite late night festivities with Goslings Rum’ best potions and mysterious Duffy boat excursions with take-out pizza. Today’s racing began with perfect Newport Beach conditions that by mid-afternoon had built up to 12 knots out of the west, with the weather mark adjacent to the dock, ideal for premier stadium racing. At the end of day two, Newport Harbor Yacht Club Team Lighting is first, Larchmont Yacht Club is second and San Diego Yacht Club and St. Francis Yacht Club are tied for third. Reid Vitarelli from Newport Harbor Yacht Club’s Team Thunder, noted, “We are just trying to survive. If Team Lighting can continue beating people we can fight our way back in,” showcasing the expected home town rivalry. Other Baldwin Cup Team Race traditions were front and center including 25 cent beers, the Royal Thames Yacht Club’s cricket skills, and a fierce corn hole competition. In an unexpected challenge, the race’s admin team pulled out their best excel magic tricks after some technical difficulties with the scoring program. Lastly, Tom Hogan was in training as an understudy to Staff Commodore Dwight Belden who has perfected the art of setting marks in a director’s chair with a Cuban cigar. Twelve 4-boat teams are competing in the Harbor 20, with the race course just off the docks of host Newport Harbor Yacht Club. 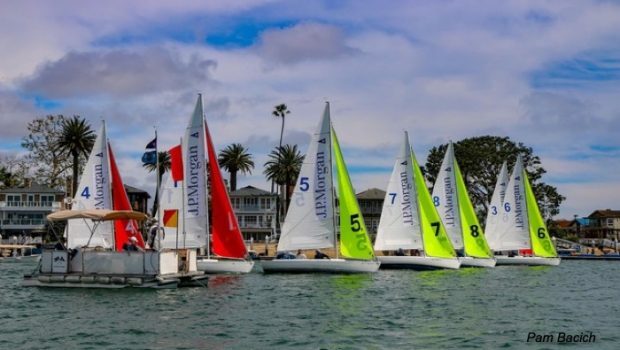 The 12th edition has attracted teams from Annapolis Yacht Club (Annapolis, MD), Balboa Yacht Club (Newport Beach, CA), Corinthian Yacht Club, Larchmont Yacht Club, New York Yacht Club, Royal Thames Yacht Club, St. Francis Yacht Club, San Diego Yacht Club, Seawanhaka Corinthian Yacht Club, and Southern Yacht Club. Racing is scheduled for on April 4-6. 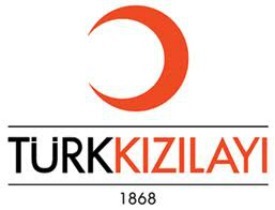 Çok mutlu ve gururluyum !